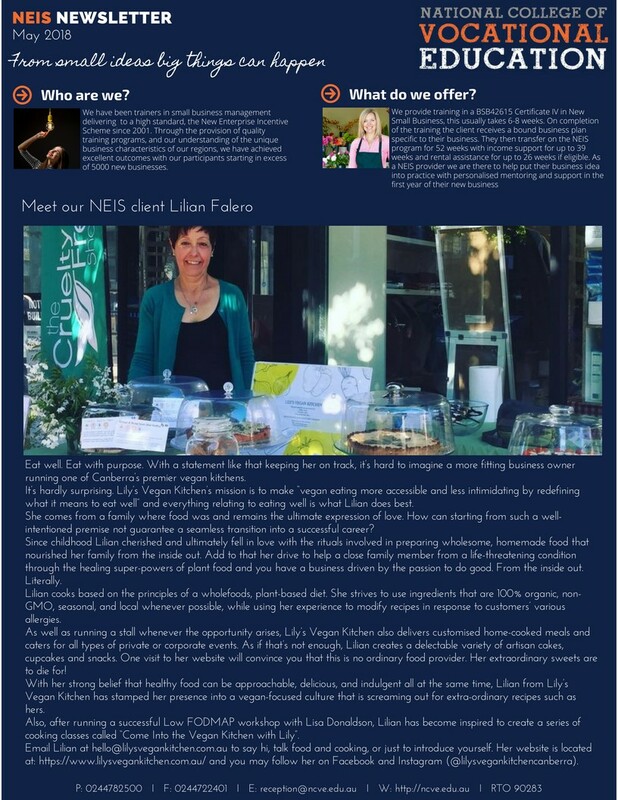 Our latest NEIS Newsletter is out! From small ideas big things can happen. This month we introduce you to Lilian from Lily’s Vegan Kitchen.